All shows at the Temporary are cancelled this weekend. More information at T A C A W dot org. All Ben Sollee (so LAY) events scheduled at the Wheeler Opera House have been cancelled. The Rosybelle Art and Maker Bus will be at Rifle Library at 1 offering Digital Music for Teens. Aspen Chapel hosts a Piano Recital at 2. Monkey House climbing facility hosts at open house at 4. First Friday Community Celebration starts at 5 on the 4th Street Plaza including the 18th Annual Mount Sopris Music Fest, as well as an artisan and produce market. Roadside Gallery hosts The Iconic Black and White Exhibit at 5. Harris Concert Hall presents Pre-Concert Chamber Music at 4:45. CMC Carbondale offers Community Paint at 5. Charley Wagner plays for Friday Afternoon Club at Glenwood Caverns at 5. Glen X hosts a presentation by the founder of Git Coin at 5:30. Rodrigo plays at The Hotel Colorado at 6. 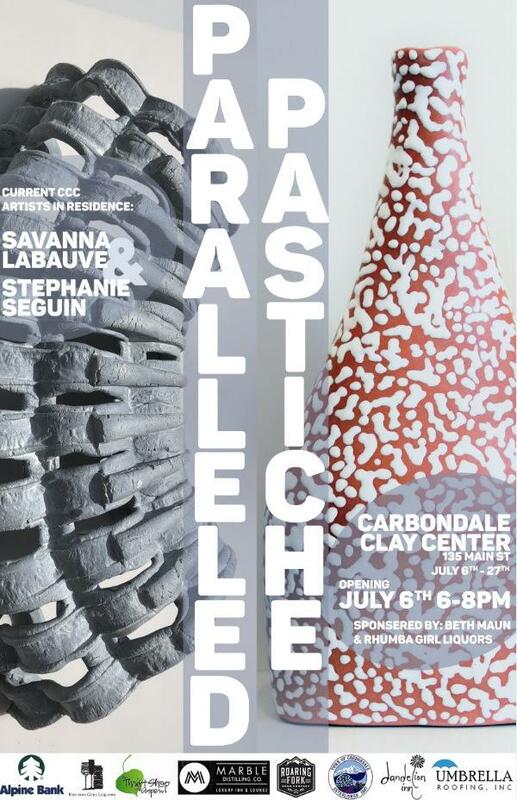 Carbondale Clay Center presents the opening reception of Paralleled Pastiche at 6. Bookcliffs Art Center in Rifle offers a First Friday Art Show at 6. Carbondale Arts hosts the opening reception of 1 + 1 = 3 at 6 at the R2 Gallery. Aspen Chamber Symphony performs at 6 at the Benedict Music Tent. You Knew Me When play at the Marble Distilling Company at 6:30. Dwight Ferren plays at Kan Pai Sushi in Glenwood at 7. Chris Bank and Mark Johnson play at 7 at Heathers. The Hot Sardines play at The Cooking School of Aspen at 7 and 9. Marble Bar Aspen presents Tom Ressel at 7:30. The Aspen Theatre presents Ragtime at 7:30. The Crystal shows Mountain at 7:30. Ute Theater in Rifle presents Aaron Burdett at 8. The Belly Up presents Keller Williams’ Petty Grass featuring the Hellbenders at 8. Lilo and Stitch shows at 8:45 at the Water Slide in Rifle for Drive-in Movie Night. RnB Enterprise play at River’s Restaurant at 9. Feeding Giants play at Silver City at 9. Liver Down the River play at 9 at Carbondale Beer Works. And Next 2 the Tracks play at 9:30 at the Black Nugget.